When someone is charged with felony OWI in Michigan, the stakes are very high. 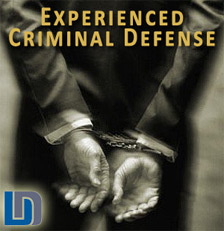 With the possibility of prison and up to 5 years of probation, the need for an experienced, effective defense lawyer is critical. There is no more stressful time in a person’s life than being charged with a felony offense and facing jail or prison time. A felony OWI in Michigan can cause such stress and anxiety that home and work life can become challenging. If you have recently been charged with a third offense, operating while intoxicated (OWI), you have a lot to lose and you need the help of someone who will truly fight for you, not just say they will. With a great OWI Defense Lawyer, options for resolving a felony case that seem impossible can become possible. A OWI 3rd conviction can result in loss of employment, child custody, civil liberties (voting, gun rights, etc…), reputation, driving privileges and much more. There is a mandatory minimum jail term of 30 days and up to 5 years in prison. An experienced, effective defense lawyer can help you fight your Michigan OWI third offense and help you avoid potentially life-changing consequences. Two OWI convictions within 7 years or three within 10 years results in a indefinite revocation of driving privileges in Michigan. The only way to get your driving privileges back would be to appeal to the Secretary of State’s Driver’s License Appeal Division (DLAD) after a minimum of a year. Appeals to the DLAD for restoration of a driver’s license are far more complicated than people can imagine and it takes a lawyer with extensive experience and a track record for winning to be successful. It is not enough that there is an OWI or DUI charge within the 7 or 10 year time frame, there must be a conviction. If the charges are reduced to a non-alcohol offense or dismissed or the conviction is sufficiently delayed, the revocation of the driver’s license may be avoided. Finding and hiring the best possible lawyer for a felony OWI 3rd can be confusing and stressful but it is absolutely necessary to increase your chances of a favorable outcome. Depending on the circumstances of your situation, there may have several defenses but you will not know unless you hire an attorney who has focused his or her area of practice on OWI defense. No bait and switch! You hire great lawyers and get the lawyers you hired. Award winning and nationally recognized defense lawyers who are aggressive, effective and not afraid to win! If you would like a free consultation and confidential case evaluation regarding your felony OWI in Michigan, please do not hesitate to call us immediately at (248) 263-6800 or complete a Request for Assistance Form and we will promptly contact you.